Link – enter your email and get 5 friends to do the same to get a Free $10 Gift card, 10 friends for a Free Hand Towel, 15 friends for a Free Bath Towel, and 25 friends for 2 Free Bath Towels. Feel free to share your links in the comments. http://cdn.mercurymagazines.com/121-121000044/index.html -fill out the form to get a Free Subscription to Real Simple Magazine. http://www.disneymovierewards.go.com/ -check your email, you should get an update sometime today. Click the “special gift” link in their email (it looks like this) and it should be worth 5 points. If you aren’t getting the newsletter, go here and click preference center at the bottom. 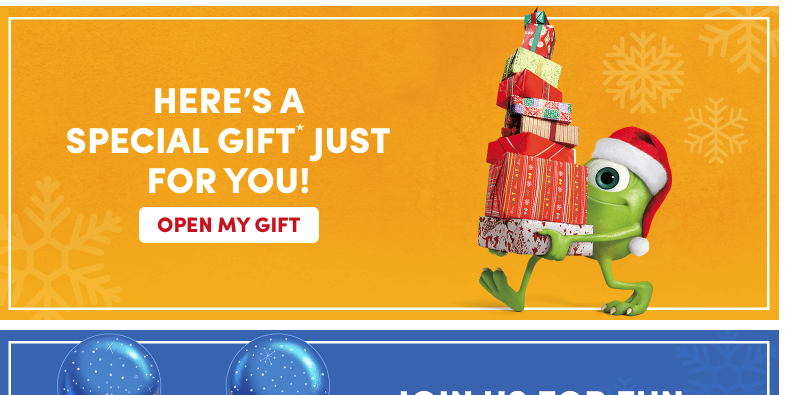 Then click the top box to get the Disney Movie Rewards newsletter.